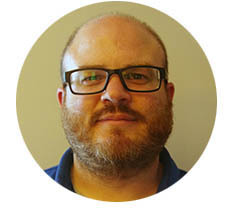 Chris has over 20 years of experience working with youth in clinical, educational and recreational settings. Chris began his professional career with youth as a paramedic in Connecticut, working both on the streets in the field and in the hospital. In 2008, Chris went to graduate school in Boston with a focus on children’s mental health and the impact of trauma. His passion for the outdoors has been a through line connecting his personal and professional lives as an outdoor adventure educator and advocate for youth being outside. He has had the pleasure of serving youth and their families as staff at many amazing organizations including Connecticut Children’s Medical Center, the Boston Public Schools, Nature’s Classroom and the Youth Opportunities Program of the Appalachian Mountain Club. In 2013, under the Treehouse Foundation, he was a founding administrator for the HEROES Youth Leadership Project, an advocacy and leadership program for young people whose lives have been touched by foster care and adoption. He is also a foster/adoptive parent. Chris is very excited about his work at The Children’s Study Home, where he hopes to help all youth in residence to either return home, find a home, or make a home. Copyright 2016 Chidren's Study Home. All rights reserved. Email login. Website design by DIF Design.